The London Metal Exchange (LME) has announced the launch of LMEwire, the derivatives reporting and OTC service powered by technology and solutions provider Cinnober, according to a Cinnober company statement. The launch of LMEwire comes amidst the European Market Infrastructure Regulation (EMIR) trade reporting deadline and represents the latest collaborative chapter between the LME and Cinnober. The most advantageous aspect of the launch centers on Cinnober’s TRADExpress platform, a trading engine suitable for all asset classes including derivatives, foreign exchange, ETFs, etc. Furthermore, TRADExpress has already been integrated with M&FBOVESPA, Dubai Gold & Commodity Exchange, Deutsche Börse, Markit, the NYSE Liffe, SEB and Stock Exchange of Thailand, and the inclusion into LMEwire represents the latest installment of the diverse platform. Besides its efforts in derivatives clearing, the LME has already made a splash earlier this year in January with its partnership with a Chinese brokerage. The LME also has extensive plans for its newest initiative, LME Clear, set for a launch in September 2014, which will help foster more sound post-trade clearing methods, along with position and liability monitoring – Cinnober is an integral part of both operations. 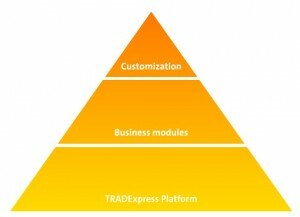 “This kind of synergy with a long-term customer, in which our agile TRADExpress platform can be adapted for multiple roles on an exchange, is a key factor for addressing the never-ending flow of regulatory changes. LME is continuing on its impressive journey and we are proud of our close and fruitful cooperation with this well-respected exchange,” added Veronica Augustsson, CEO of Cinnober.